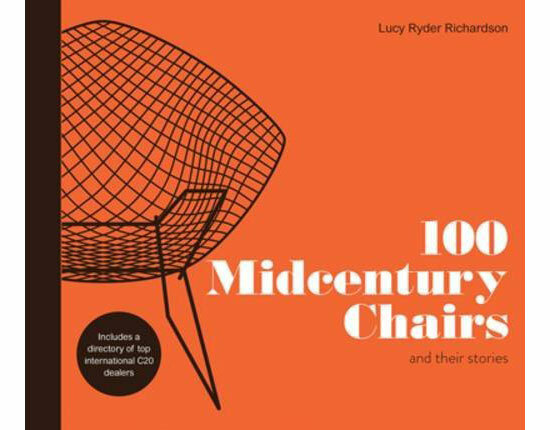 If you love seating of the mid-20th century, you might want to check out 100 Midcentury Chairs And Their Stories by Lucy Ryder Richardson, which is published by Pavilion Books. This is pretty much a reference guide for chairs of the era, which is down as between the 1930s to 1970. The book promises 100 of the ‘most interesting, most controversial, or simply most beautiful chairs’ from that period, courtesy of Lucy Ryder Richardson and Petra Curtis, the people behind Modern Shows, which have been featured on these pages in the past (and will be in the future too with new events planned). Designers such as Robin Day, Charles and Ray Eames, Ernest Race, Arne Jacobsen , Pierre Paulin, Finn Juhl, Harry Bertoia, Eero Saarinen and Norman Cherner are featured, with the 208 pages also incuding additional information on the materials, manufacturing processes and makers behind the works featured. Some historical facts, quotes and anecdotes and you should haver something quite compelling. So 100 chairs, 208 pages and a price tag of £16.99 when it lands in September. But you can pre-order a copy now.